It’s just about a month into the MLS season and so far D.C. United and the Vancouver Whitecaps have made the strongest impact in their respective conferences. The good news for soccer fans is that MLS tickets on the secondary market this week will be very affordable with each game having tickets at an average asking price under $100. The top priced MLS ticket this week is a matchup between Orlando City SC going up against the Portland Timbers on their home field this Sunday. Here are the top five MLS tickets on the secondary market, according to TicketIQ. The Portland Timbers host Orlando City SC this Sunday at Providence Park and represents this week’s top priced MLS ticket. Both teams are still seeking their second wins of the season after a slow start through five games played. Tickets for this game on the secondary market have an average price of $75.27, with a get-in price of $42. This Saturday at the Sporting Park, Sporting KC will host Real Salt Lake in a battle of two Western Conference teams. 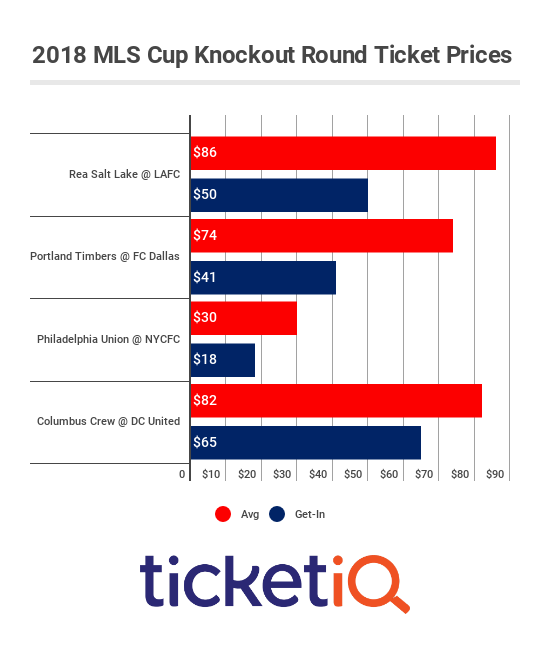 Tickets for the Real Salt Lake vs Sporting KC game are going for an average price of $68.41 on the secondary market, with the least expensive ticket to get in priced at $31. An Interesting matchup takes place this Sunday at the StubHub Center with the defending MLS Cup champions hosting the Seattle Sounders. Both teams have had slow starts so far this season after both had tremendous campaigns in 2014. LA Galaxy tickets for this game now have a current secondary average price of $61.93, with a get-in price of $33. This Saturday at Avaya Stadium, the San Jose Earthquakes host the Vancouver Whitecaps in another Western Conference showdown. Vancouver has gotten off to a great start of their season as the current leader in the West, winning four of their first five games, while San Jose sports a 2-3 record through five games so far. Earthquakes tickets for Saturday’s game at Avaya Stadium are going for an average price of $48 on the secondary market, with a get-in price of $32. Also this Saturday, the Houston Dynamo host the Montreal Impact at BBVA Compass Stadium as both teams are currently struggling with only one win between them, belonging to Houston. Dynamo tickets for this game have a current average price of $48 on the secondary market, with a get-in price of $23.